From mix-use buildings to mid-century bar stools, Scandinavian style is everywhere; it has infiltrated our design-thinking. Interior designers are creating multifunctional spaces filled with longer-lasting, meaningful pieces. 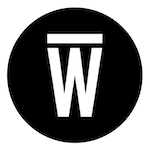 They’re also emphasizing the principle of simplicity in the objects we choose to surround ourselves with. Small spaces, lasting designs, natural elements, and nomadic living were even named important design trends for 2019. Several California-based furniture designers are bringing this Nordic-feel to California restaurants with their taste for homegrown materials, functional elements, and a connection to nature. “If you go back to the core values, not just of Scandinavian design, but also of Scandinavia, the understated, authentic, long-lasting, democratic, and social elements are a good fit with the times we live in,” said Kristian Byrge in an interview with Sarah Hucal. Rusty Dobbs’ brand Ghostown Woodworks brings clean, long lines and understated elegance to spaces. His work becomes as much a part of their surroundings as the walls of the structure. These pieces may seem to reflect Nordic elements while at the same time incorporating the rich wood textures and colors found on his Californian soil. 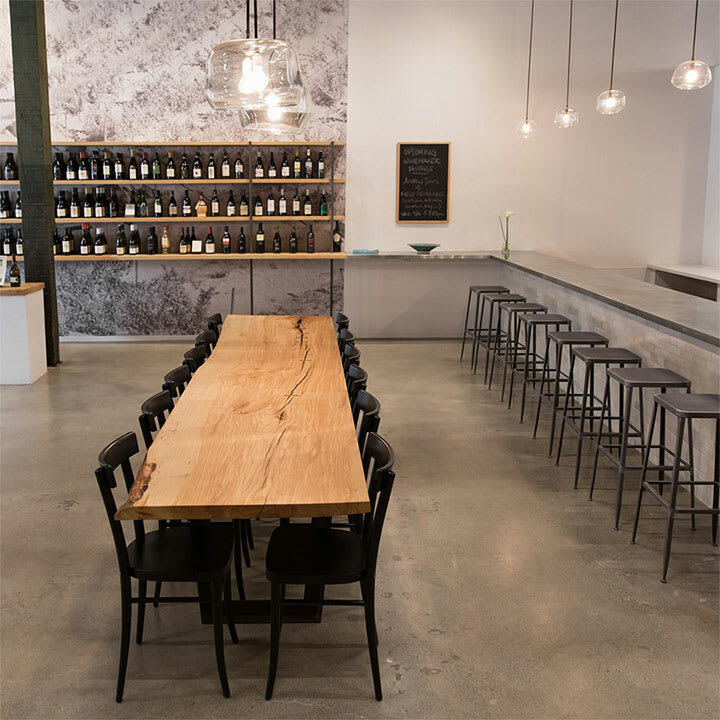 At Minimo, an Oakland space that’s part tasting room, part wine shop, Dobbs’ Scandinavia-meets-California style is seen in the long communal tables that match the rustic-yet-industrial mood of the room. And like any good Scandinavian-inspired design, a connection to nature is immediately evident. “My grandpa was a finish carpenter who was meticulous and proud that he could crosscut a board faster than the clunky power saws of the day,” says Dobbs. The folks at Fyrn believe objects should be built to last rather than replaced. They say that “if you know the story of a chair’s origin and you live with it for decades, then it begins to hold a value that is greater than the chair itself and that’s something that can be passed on and shared with future generations.” That’s true of any of the San Francisco restaurants where you find Fyrn furniture. At STEM, for example, Fyrn’s Stanyan bar stools are built in the natural, light-colored wood found in classic Scandinavian design. 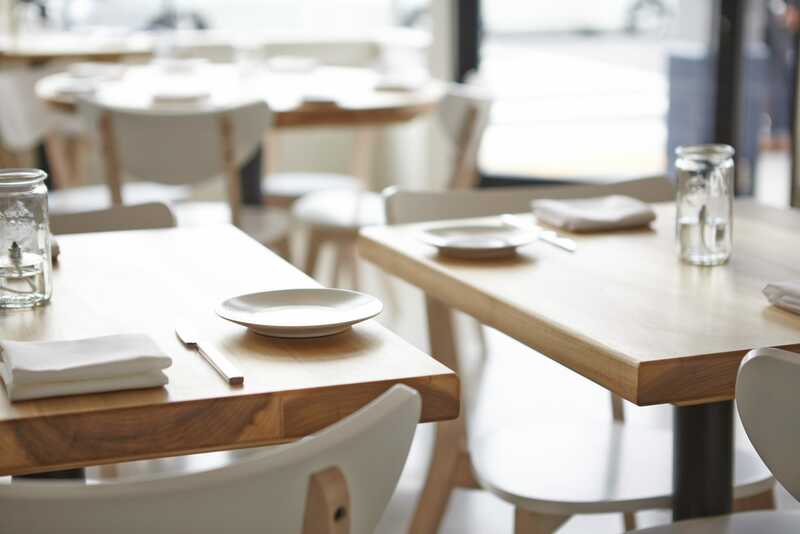 The wood is contrasted with darker seat coverings that give the furniture a distinctly Americana feel, appropriate since STEM is a farm-to-table restaurant for urban dwellers. “We believe that the relationship between you and a chair is like a handshake or an agreement. You just know when it feels right” says Fyrn’s Ros Broughton. 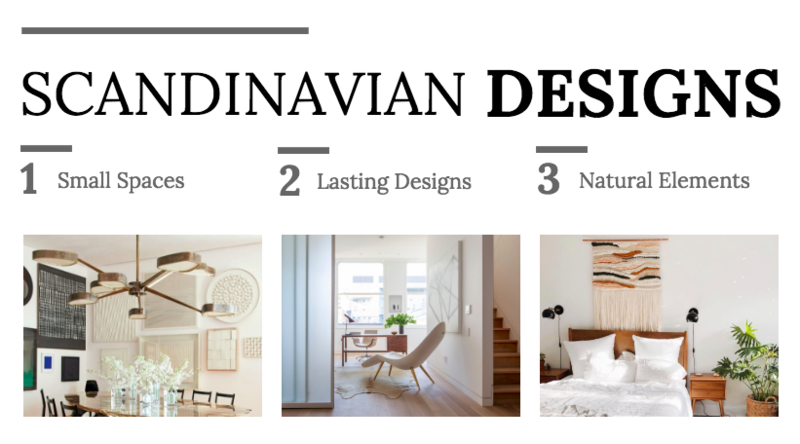 At its heart, Scandinavian design is all about improving daily life—that is, creating calm, welcoming environments that make it easier to accomplish whatever task is at hand, be it working, cooking, or just relaxing. As the rest of life gets increasingly more hectic, expect to see more designers offer up Nordic-inspired retreats from the chaos.